11-1/2? overall, 1? wide, 3/32" thick fork. 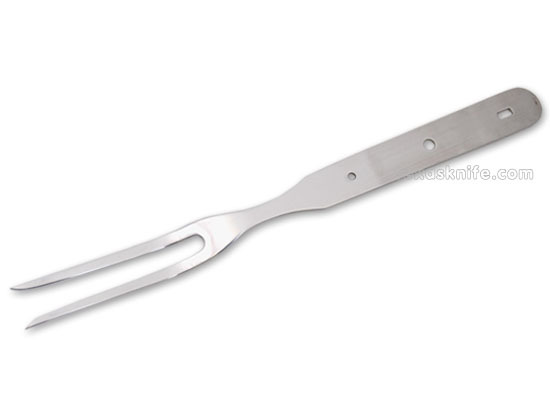 Great BBQ fork with 3-1/2" long tines. 440C stainless steel, mirror polished. Takes two 5/32? pins and/or one 7/32" pin.